Almost three decades after its release, the Beastie Boys’ classic debut, Licensed To Ill has been certified diamond by the RIAA (Recording Industry Association of America). 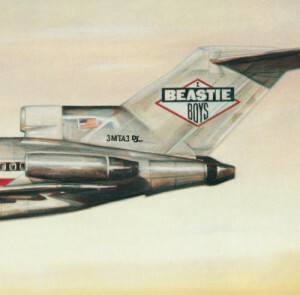 Released via Def Jam Records, the record has sold over 10 million copies as of March 4, 2015 and upon its release, Licensed To Ill became the first hip hop album to top the Billboard charts. Legendary producer Rick Rubin worked with group members Adam ‘MCA’ Yauch, Michael ‘Mike D’ Diamond and Adam ‘Ad-Rock’ Horovitz to produce the hip hop classic album. The Beastie Boys join 2Pac, Eminem, MC Hammer, Outkast, and The Notorious B.I.G. as the only hip hop artists to reach diamond status.